Merry Christmas from the blog team! Chaque année, la célèbre chaine de magasins Britannique John Lewis produit une jolie vidéo à l'occasion de Noël. La bande son est toujours une reprise d'un morceau connu, cette année c'est la chanson de Keane chantée par Lily Allen. Mes élèves et moi sommes fans! Another great song about New York (see article below)is the one by Alicia Keys. Such a beautiful voice and beautiful lyrics... You can sing along with the video! Une autre très belle chanson sur New York (voir article suivant), celle d'Alicia Keys. Quelle magnifique voix et quelles belles paroles... Vous pouvez chanter en même temps que la vidéo! Alicia Keys is helping Cauet (the famous radio host) to sing her song : hilarious! Alicia Keys aide Cauet (le célèbre animateur radio) à chanter sa chanson : vraiment drôle! Amandine and Sarah are our reporters. Thanks a lot girls, great job! Liz nous a présenté 2 célèbres chansons de ce très célèbre chanteur Américain : Frank Sinatra. Amandine et Sarah sont nos reporters. Merci les filles, beau boulot! Amandine: Of the two songs I already knew "New York, New York." And I liked "My Way" but I didn’t know it. Sarah: I absolutely did not know these two songs, I discovered them and finally I liked them. Frank Sinatra was a very influential American singer and actor. He was born on December 12, 1915 in New Jersey. Both of his parents were Italian immigrants. Sinatra first began singing at the age of twenty, and by age 26 he was one of the most popular male singers in the country. His specialties were jazz, swing, and big band. 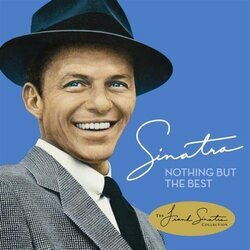 He released his first album, The voice of Frank Sinatra, in 1946. Throughout the course of his sixty-year career, he released over sixty albums and almost 300 singles. He made many appearances on television and on the radio. Although he was born in New Jersey, he spent most of his adult life in New York. Sinatra also had a very successful career as an actor starting in over sixty films with many other famous American actors. He would often combine his two talents and would sing in his films. Sinatra had four wives during his life and had three children with his first wife. There are two others that may or may not be his children; he had many mistresses. Frank Sinatra died on May 14, 1998, at the age of 82. He is regarded as one of the most influential singers of the 20th century, and his music and movies are considered classic today.